Leblanc Plumbing & Heating Ltd. of Tisdale offers a number of services for systems in residential, commercial, industrial, and agricultural buildings. Read through our services below, and be sure to get in touch with us to get started with a free estimate! 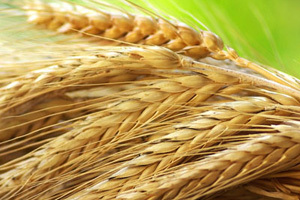 We rent and sell grain drying systems to keep your storage systems in top condition. With dry grain, it is much easier store and will preserve your stock. You can expect top results from Leblanc Plumbing & Heating Ltd.
Hydronic heating is an energy efficient and simple approach to heating your home. 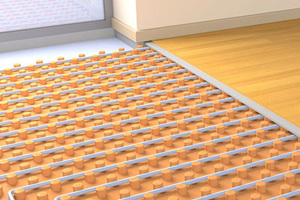 This system is installed in the flooring, which allows for consistent warmth throughout. Hydronic radiant heating is a quiet alternative to a full, forced air system. 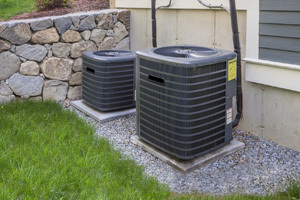 Whether you require repairs or replacements, we know our way around an air conditioning system. 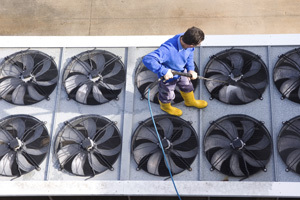 We also offer general maintenance to ensure your cooling system is prepared for hot weather at all times. Don’t wait to have your system checked out or fixed! Leblanc Plumbing & Heating Ltd. provides pressure washing to keep a number of different surfaces free from grime, dust, dirt, and other unsightly materials. From driveways to walkways and everything in between, we are here to help. We offer comprehensive maintenance and repair services to ensure your systems are running as smoothly as possible. 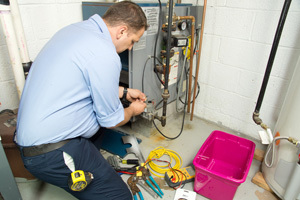 Our technicians have the expertise to thoroughly inspect your systems and provide a solution for optimum functionality.